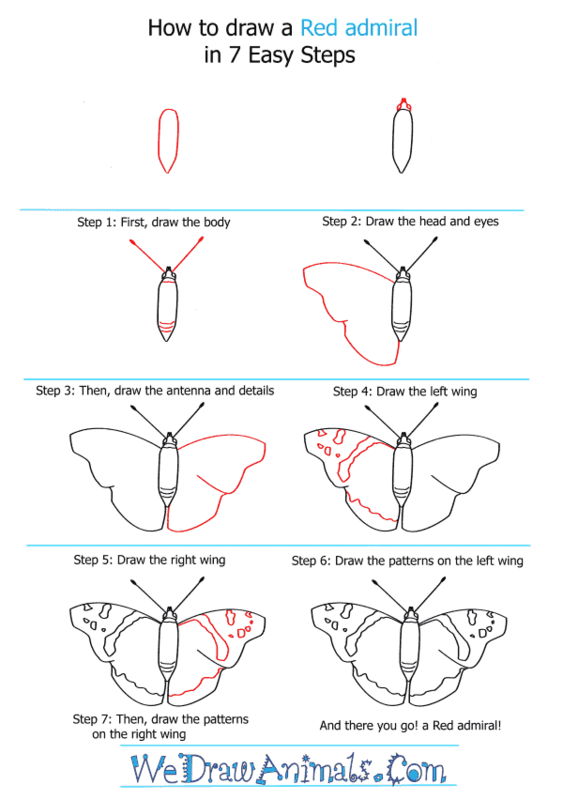 In this quick tutorial you'll learn how to draw a Red Admiral in 7 easy steps - great for kids and novice artists. At the bottom you can read some interesting facts about the Red Admiral. Red Admiral butterflies have a wide range that they cover. They are found from Guatemala north to Mexico, United States, Canada, Hawaii, some Caribbean Islands, New Zealand, Europe, Northern Africa and Asia.These butterflies cannot survive North American winters so they must migrate to warmer climates. They are recolonized each spring by their southern migrants. The young caterpillar will live in a shelter of folded leaves where an older caterpillar will make a nest of folded leaves and silk. Their wingspan is 1.75 to 3 inches wide. They will have two broods, March to October in North and then October to March in South Texas. They like moist woods, yards, parks, marshes and moist fields to live in. They like sap on trees, fermenting fruit, bird droppings and will only visit flowers when these are not available. The caterpillar host is nettle plants including stinging nettle, tall wild nettle, wood nettle, false nettle and mamaki. 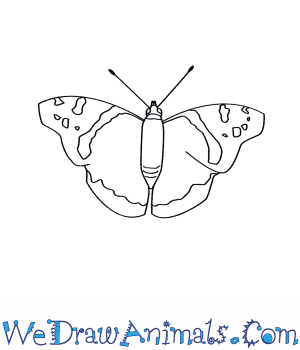 To identify these butterfly’s, the upper side is black with white spots near the front tips. There is then a median red band with a red marginal band at the back of them. The winter form is smaller and duller than the summertime colors.